The ideal time saving grooming product. Removes dirt and stains yet leaves the coat looking and feeling at its very best. All this without washing. Cleans and conditions at the same time. Contains moisturising and detangling agents. Actively repels dirt and stains. Totally unbeatable! 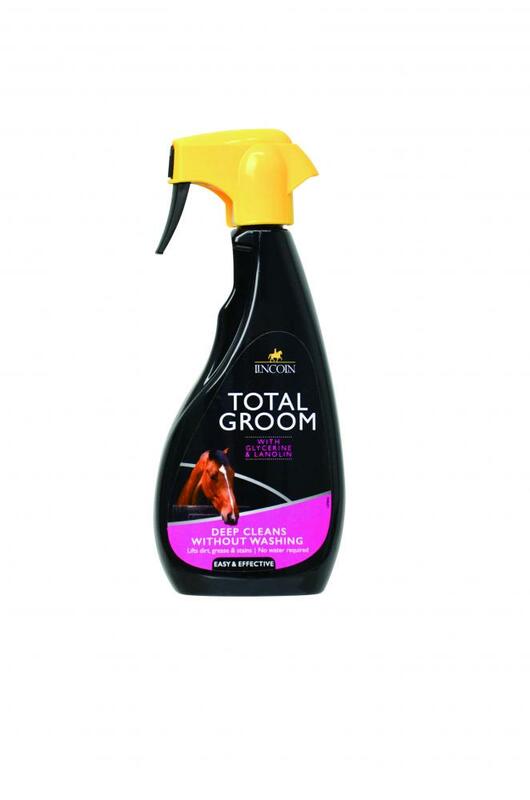 There are currently no questions for Lincoln Total Groom - be the first to ask one!